On October 30, 1964, Dr. Humphry Osmond, Myron Stolaroff, Willis Harman, and Al Hubbard took LSD together. The next day they discussed what was learned. This is a recording of that gathering, and it is the first of the recovered recordings from The Stolaroff Collection, hosted at Erowid.org. 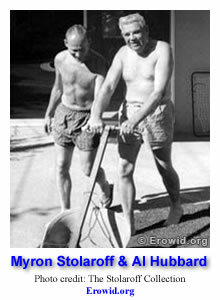 Posted in Al Hubbard, Consciousness, Duncan Blewett, Erowid, Humphry Osmond, James Fadiman, Jon Hanna, LSD, Myron Stolaroff, Psychedelic Research, Psychedelics, Ram Das, Religion, Science & Technology and tagged Al Hubbard, Consciousness, Duncan Blewett, Erowid, Humphry Osmond, James Fadiman, Jon Hanna, LSD, Myron Stolaroff, Psychedelic Research, Psychedelics, Ram Das, Religion, Science. Hey Lorenzo. Thanks for the great work. Been having a lot of fun [and a little fright 🙂 ] listening to your podcasts lately. I’m reading a book called LSD and the American Dream and it contains a lot of stories about these guys, so this was pretty fun to hear. The excitement of some of these colossal characters from the fifties and sixties makes for some great story times. You’ve probably read this book judging by your enthusiasm expressed in the intro, but if not that book is surely worth a gander.